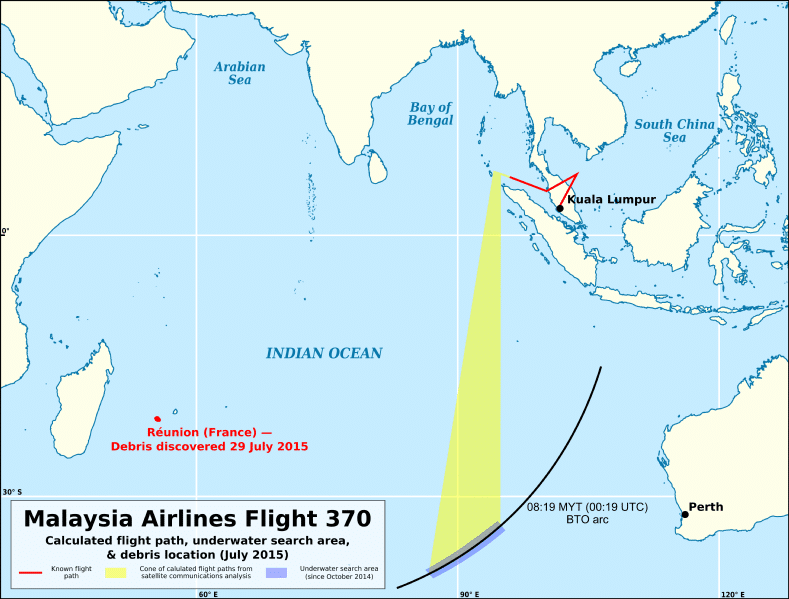 In light of the news this week (which is great news for unravelling the mystery of what happened to Malaysia Airlines flight 370), I thought it might be useful to try to explain some of the issues being talked about in the press. I know there’s a lot of news coverage at the moment; still, I’m hoping that you’ll end up with at least one little detail that you didn’t already know. 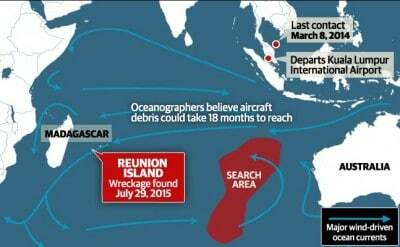 The discovery is important because it confirms that the aircraft crashed in the Indian Ocean. Many of the less-likely-but-possible theories, including that the aircraft was hidden somewhere in China or that it crashed near the Maldives can now be dismissed. It’s also interesting that no debris has shown up further north, which implies that the wreckage started in the southern half of the Indian Ocean, which correlates with the Inmarsat data. A local man stumbled over it. He told the Guardian about his discovery. At around 8.45am, I was walking the shoreline looking for a kalou – a stone which can be used as a pestle for grinding spices. That was when I saw some debris washed up on the pebbles. Straight away I called over my colleagues to help me pick up the piece and place it higher up the shore. 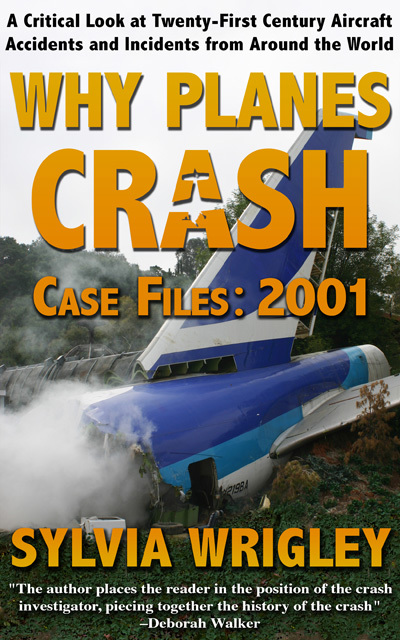 I immediately thought it was plane debris – the length and curve of it, there were screws on it that hadn’t gone rusty. Can we find out what happened with just one piece? It’s hard to say. The flaperon is meant to detach easily in the case of impact. By looking at the damage to it and the stress marks where it tore off, we might be able to understand what happened at that time. 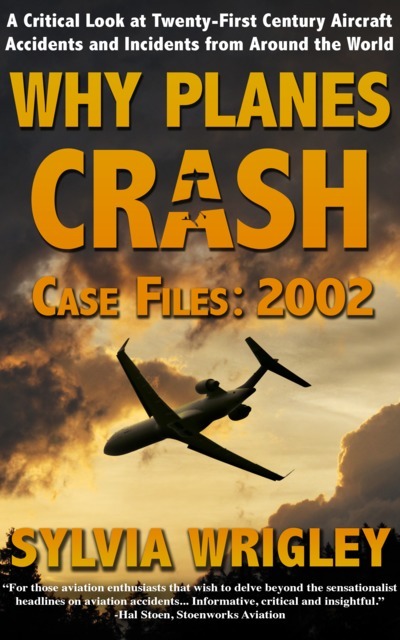 For example, investigators may be able to work out if the aircraft broke-up in flight or was gliding for an attempted landing on the water or crashed in an uncontrolled impact. Also, we may be able to find out more about the point of impact by recreating the flaperon’s trip to La Réunion. Where’s the rest of the aircraft? We might get lucky and find more debris in the coming weeks. The same man who originally discovered the flaperon also found a fragment of a suitcase. He’d noticed it there earlier but didn’t pay it much attention. Not until people started talking about Malaysia Airlines flight 370 did he think about it again. He went back to the beach and found the suitcase fragment, which has gone to the French authorities. They’ll test it to try to discover if it’s related. Additional rubbish has been found on the shores of the island and sent in for investigation: a Chinese water bottle and an Indonesian cleaning product. I suspect everyone in the area is going to be paying a lot of attention to the debris collecting on their beaches this week. A French police helicopter that was searching the coastline in hopes of finding more debris has been grounded, as Le Piton de la Fournaise, an active volcano on the south-eastern side of the island, is likely to erupt. It’s a control surface on the trailing edge of the wing which is used during take-off and landing. 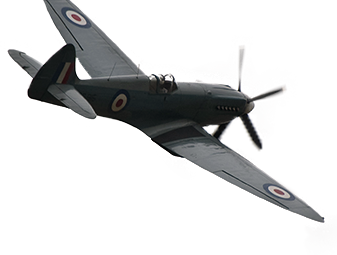 The somewhat silly name is because it combines the functions of flaps and ailerons. 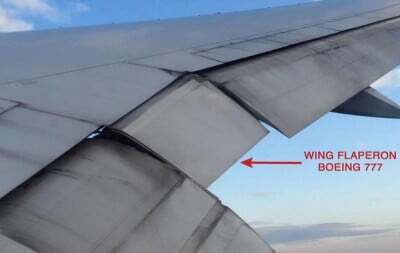 On the Boeing 777, the flaperon is between two sets of flaps right behind the engine. The flaperon is naturally buoyant: it’s made of lightweight composites and the inside is hollow. It might be possible to see what state the flaperon was in when it came off of the wing, which could tell us that someone had configured the aircraft for landing when it disintegrated. Couldn’t this flaperon be from another aircraft? The part was quickly confirmed as being a flaperon from a Boeing 777, which was readily apparent just by looking through the Boeing parts manual. In fact, it was pretty clearly identified on the 29th on Twitter directly after the discovery was made public. There are no other missing Boeing 777’s in the world. That means that a used Boeing 777 part washed up on any shore must either be from Malaysia Airlines flight 370 or a hoax. In order to pull off a hoax like this, you’d have to get your hands on a flaperon. You can’t just walk up to an aircraft and dismantle part of the wing. Stealing one from the factory (they are apparently manufactured in India) would be difficult and then you’d still have a new flaperon rather than one that showed the damage that comes from being ripped off of a wing. Then, there’s the fact that the flaperon is covered with barnacles. You’d have to find a flaperon and then leave it floating for months before planting it on the beach or possibly just throw it into the Indian Ocean and hope. I came up with a plot-twist yesterday, in that the flaperon turned out to be stolen from the field in the Ukraine where MH-17 (also a Boeing 777) went down. I still think it’d make for a great Hollywood spectacle, possibly starring Steven Segal and Tom Cruise? But in the real world, it was clear it was not a hoax the moment the part number was confirmed. Why has the part gone to France rather than Malaysia or Australia? La Réunion is a French island, one of five overseas departments, which means the island has the same status as the departments in mainland France. It’s considered an outermost region of the European Union. The really interesting thing, though, is what it means for the investigation. In an international incident, the jurisdiction for the official accident inquiry is based on the location of the crash. 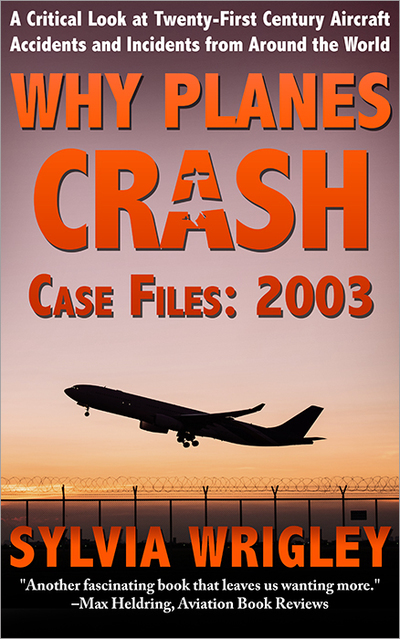 Because the crash site was believed to have been in international waters, the jurisdiction goes to the state where the aircraft was registered: in this case, Malaysia. The investigator-in-charge is the Malaysian deputy minister of transport. The Australian ATSB were asked to lead the search, which they have been doing. Generally, the location of the crash is based on where the wreckage is found. I’m not sure if there have been cases involving political boundaries, but I think you could make the argument that the wreckage found in a French department means that the Bureau d’Enquêtes et d’Analyses (the French investigation agency) has jurisdiction over the investigation, based on ICAO procedures. I don’t know of any incident like this one, which started in international waters with the first wreckage drifting into someone’s territory, so honestly, I just have no idea what will happen next. French newspaper La Monde seem to have already referred to the jurisdiction in their article published this morning. Parallèlement, la Malaisie et l’Australie ont réclamé avec insistance le rapatriement de la pièce. La France a catégoriquement refusé, pour plusieurs raisons : quatre Français étaient à bord du vol MH370 ; un juge d’instruction antiterroriste français a été missionné pour enquêter. Enfin, le flaperon a été retrouvé sur le territoire français. Malaysia and Australia have demanded that the piece be returned. France has categorically refused for a number of reasons, including that there were four French nationals on board. An anti-terrorist judge has been commissioned to investigate. At the end of the day, the flaperon was found on French soil. France had already been asked to be involved in the investigation (along with China and the UK) and would have commissioned the anti-terrorist judge at that time. However, now it’s a question of who leads the investigation and who has control over the final report. There have been political conflicts because of this in past multi-national investigations. 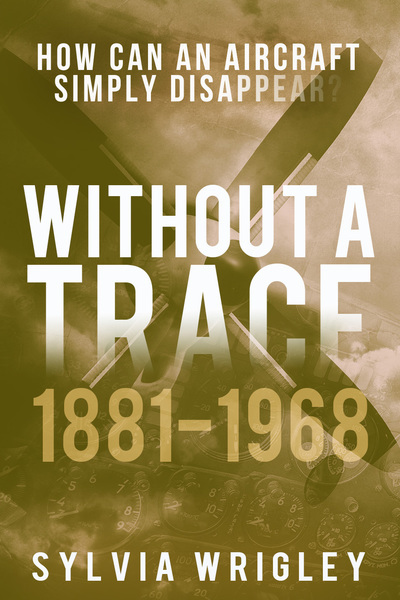 Why has it taken so long to find any trace of the aircraft? It takes quite some time for this type of debris to transit the ocean. To compare, Japanese debris from the earthquake and tsunami in March 2011 started appearing on the west coast of the US two years after the original disaster and is still showing up. Floating debris is expected to keep arriving for at least another year. Here’s what the commission said about being able to find the debris before it reaches shore. As much as we would love to be able to capture debris out at sea, it is a common misconception that there are giant patches of floating debris in the Pacific. In fact, the tsunami debris dispersed rapidly—within one month, the debris field was no longer visible by overflight—so it is likely to have spread out over hundreds if not thousands of miles of ocean, making observation, much less capture, of the debris next to impossible. In addition, great uncertainty remains as to how much of the debris from the tsunami remains afloat, and how much more of it may impact the West Coast of the United States. Ocean currents are difficult to map and predict, as they shift with weather and season. Due to this, predictions are not reliable and in fact, debris from the tsunami began to arrive at locations along the West Coast well before it was expected. This is true for non-tsunami-related debris as well. Much of the debris in the Pacific—even that located in the area known as the “Great Pacific Garbage Patch”—has broken down into small bits that are too small to see with the naked eye, even from as close as the deck of a boat. It is also widely dispersed, and even at various depths in the ocean. So removal of this debris would be extremely difficult and enormously expensive. That explains why no one saw it or other debris earlier: it’s a very small piece in a very large ocean. However, hopefully more wreckage will reach the islands and be retrieved. What do the barnacles tell us? The barnacles are Lepas Anatifera, commonly known as the gooseneck barnacle. They attach to floating debris and are found on ship hulls, floating timber and even seaweed rafts. They grow at a rate of one to two centimetres per year, so the barnacle colony can tell us how long the piece has been floating. Initial estimates are that the piece was floating for 12-18 months. Why do we call them barnacles? OK, this isn’t relevant to Malaysia Airlines flight 370 but in the process of looking up gooseneck barnacles, I discovered that the history of the word barnacle is simply wonderful. Word History: The word barnacle is known from as far back as the early 13th century. At that time it did not refer to the crustacean, as it does today, but only to the species of waterfowl now more often known as the barnacle goose; more than 300 years went by before barnacle was used to refer to the crustacean. One might well wonder what the connection between these two creatures is. The answer lies in natural history. Until fairly recent times, it was widely believed that certain animals were engendered spontaneously from particular substances. Maggots, for instance, were believed to be generated from rotting meat. Because the barnacle goose breeds in the Arctic, no one at that time had ever witnessed the bird breeding; as a result, it was thought to be spontaneously generated from trees along the shore, or from rotting wood. Wood that has been in the ocean for any length of time is often dotted with barnacles, and it was natural for people to believe that the crustaceans were also engendered directly from the wood, like the geese. In fact, as different as the two creatures might appear to us, they share a similar trait: barnacles have long feathery cirri that are reminiscent of a bird’s plumage. This led one writer in 1678 to comment on the “multitudes of little Shells; having within them little Birds perfectly shap’d, supposed to be Barnacles [that is, barnacle geese].” In popular conception the two creatures were thus closely linked. Over time the crustacean became the central referent of the word, and the bird was called the barnacle goose for clarity, making barnacle goose an early example of what we now call a retronym. I think that covers what we know so far. I’m happy to host discussion on this in the comments but please, if you have a theory, post it only once and do not engage in arguments to defend it if others are unconvinced. If there are any other questions, feel free to ask! Great piece, Sylvia. You’ve answered a couple of questions I had. Thanks for doing the research. I suspect there is going to be a lot of focus on stuff that gets washed up on La Reunion and Madagascar in the coming months. And aside from obvious aircraft parts, the vast majority of the detritus will have originated from ships, thousands of which ply the Indian Ocean every year, or been dumped in the sea by people living on the shores that surround the Indian Ocean. The Chinese water bottle is a case in point. Passengers are not allowed to take water bottles on board, and any in the catering would have been Malaysian, not Chinese. The Indonesian cleaning agent is not something you’d find on board, and it’s unlikely to have been in someone’s baggage. It would fall under the prohibited items classed as ‘dangerous goods’. Good points, I hadn’t thought about the water bottle issue at all! An anti-terrorist judge has been commissioned to investigate. I’m getting shades of 2000AD here … Visions of Vincent Cassel wearing a red and black judge’s robe, one foot on the chest of an expiring terrorist, with smoking French modèle 1873 revolvers in each hand. You do realise that the conspiracy-crazies will now be citing your blog as “proof” of how the hoax was carried out? Of course, you couldn’t say this is how it was carried out, because that would expose you to retribution from the Illuminati-OneWorldGovernment-GreyAlien-ZombieLords who really run America (who cares about the rest of the world, they’re all freedom hating alien commie socialist zombies!). Now, to me, this is the really interesting bit; I love these legal wrangles and the interesting legal fictions which seem to shake out of them from time to time. This could be legal history in the making and affect the jurisdiction rules of crashes for a long time; can’t wait to see what comes of it! Amusingly enough, for a long time this was used as an excuse for clergymen to eat goose on Friday, as clearly if the goose grew from barnacles it would be a fish. Awww, I think it would be a great movie! I was just trying to work out the best actress for the love interest. But yes, I did consider a potential influx based on my silly theorising, hence the warning at the end. I am endlessly entertained by the gooseneck barnacle connection. That’s brilliant and totally logical! Hah, that’s just grist to the mill! The serial number on the flaperon simply proves that it was an inside job by the Illuminati-OneWorldGovernment-GreyAlien-ZombieLords – they clearly had access to the plane after it crashed! …Bishops and religious men (viri religiosi) in some parts of Ireland do not scruple to dine off these birds at the time of fasting, because they are not flesh nor born of flesh… But in so doing they are led into sin. For if anyone were to eat of the leg of our first parent (Adam) although he was not born of flesh, that person could not be adjudged innocent of eating meat. I can just hear the tinfoil-hat-wearers now. The sad reality may be that this captain might have just been experiencing aviation’s worst system failure and did his best to save as many lives as possible, only to have the plane disintegrate when it hit the waves on touchdown.